Bishoy Kamel was supposed to walk free from his military service in February. Instead, his family collected his body three months earlier. The corpse bore “signs of torture”, the family said. 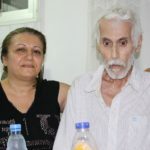 “When we reached the hospital that afternoon, we saw Bishoy’s body reposed like an angel,” said Natei Kamel, the father of the Coptic Christian, describing incidents on 20 Nov., at the end of the family’s hurried journey to Cairo from their hometown of Mallawi, 270 kilometres south of the Egyptian capital. The official version of their son’s death was “suicide”. His father rejects that conclusion. “His body bore signs of torture and extensive violence. His forehead was protruding form swelling. He had an injury to his nose, clear bruises under his arm, his right ear and his right cheek, and other bruises to his back and abdomen,” he said. Kamel’s death is one of five similar cases, stretching back almost a decade. Each of the deaths, predominantly attributed to suicide, involved a Christian. Much to the families’ anguish, claims of religious bullying were never properly investigated by the authorities. 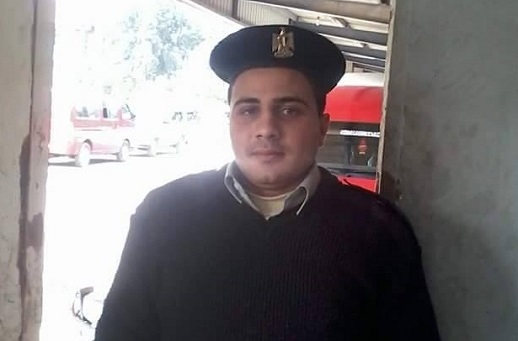 A graduate of a vocational school at 18, Bishoy Kamel was drafted for 25 months of compulsory service to Egypt’s Central Security Forces. Almost all males of that age are subject to conscription; those with more education serve for shorter periods. Conscripts serve at different army or police units, and reports of abuse, especially among the less educated, are common. Christians further complain of an added prejudice due to their religious identification. On 5 Nov., the father learnt his son was incarcerated in his unit. Two days earlier, the 21-year-old Bishoy had hit a Muslim fellow conscript, Mustafa, on the head, causing a wound requiring 10 stitches. Later, after Bishoy’s death, other conscripts told the father his son carried out the assault “after he had had enough of Mustafa’s bullying”. “Over a period of time, Mustafa mocked and insulted Bishoy. He also picked on his Christian faith. Bishoy stayed calm, which angered Mustafa even more. 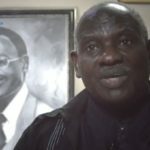 He goaded him further until Bishoy lost his nerve,” the father quoted his son’s fellow soldiers as saying as they came to pay their respects at Bishoy’s funeral. Yet he said all seemed well when he tried to patch up the differences between Mustafa and his son, and the case had been adjourned following a plea for conciliation by Bishoy’s lawyer. On 18 Nov., the martial court placed the two opponents in the same cell, something the lawyer, Hani Ramsis, said was a clear violation of the law. Another inmate, named Mohamed, was moved that night into the tiny cell with both Mustafa and Bishoy, Ramsis said. On the morning of 20 Nov., Natei Kamel received calls urging him to come to Cairo. Bishoy was dead. And, the lawyer Ramsis noted, could Bishoy have hanged himself in a small cell containing two other inmates? 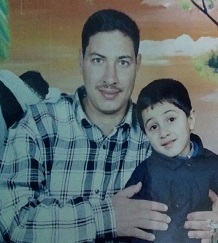 The allegedly hanging body, Ramsis said, was removed from the cell before investigators could arrive. Bishoy Kamel’s death was the third of a Christian in the Army or police in 2015, Ramsis said. Human-rights activists, meanwhile, accuse the authorities of obscuring the facts. “Disputes could take place with one side a Muslim and the other a Christian. We see this all the time, especially in neglected governorates. Yet the onus is on the authorities to investigate, to find and punish the wrongdoer,” said an official with a human-rights watchdog organisation active in the Menia and Assiut governorates south of Cairo. World Watch Monitor is not publishing his name or the name of the NGO to help preserve his security. 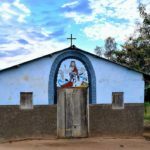 “Sadly, these incidents, including against Christian army and [security forces] conscripts, keep happening in an atmosphere of impunity.” he said. “One has to wonder how come Copts hurt themselves while serving in their units. It seems they like to die only in service”. • Cpl. Hani Seraphim Nasralla, serving in the Aswan Southern Region. In August 2006, Nasralla’s body was found dumped in the Nile River near Nag Hamadi, with apparent torture marks. According to family, shortly before his death he had complained of “trouble with his direct unit commander, because he was a Christian”. The commander “was singling him out for punishment and public humiliations”, they said. • Prv. Gerges Rizk Youssef Macar, died 18 Sept., 2006. The cause of death was stated as suicide. • Prv. Abulkheir Atta Abulkheir, of Army Squad 18, serving close to a vending outlet near Damietta Stadium. 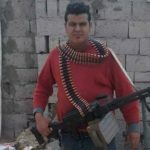 Abulkheir died 31 Aug., 2013 after a religious dispute with a fellow conscript who wanted to convert him to Islam. The Military Police informed the family the death was due to suicide. • Prv. Bahaa Gamal Mikhail Silvanus, 24, was found dead on 24 June, 2015 at his Air Defence unit in Suez. He had two bullet wounds, and the death was ruled to be suicide. • Prv. 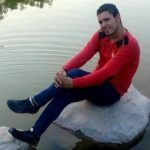 Bahaa Saeed, died of four gunshots while stationed with his battalion in Marsa Matrouh, 258 kilometres west of Alexandria, in late August 2015. A Muslim fellow conscript admitted to killing Saeed. The case is still pending.